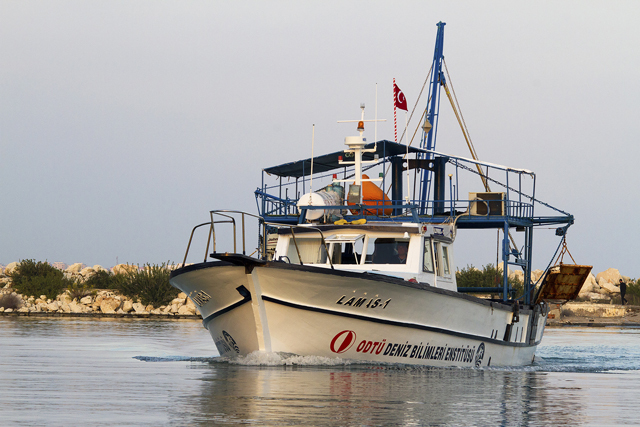 The R/V Lamas is used for the scientific cruises performed in the nearshore regions of the enclosed bays along the Turkish continental shelf, mostly used in trawling in biological and fisheries researches. 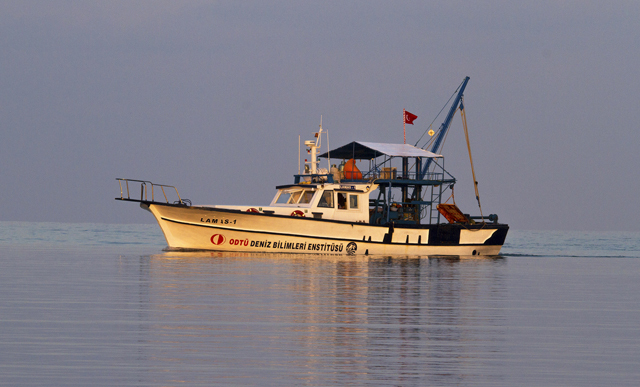 It is also capable of performing oceanographic investigations. 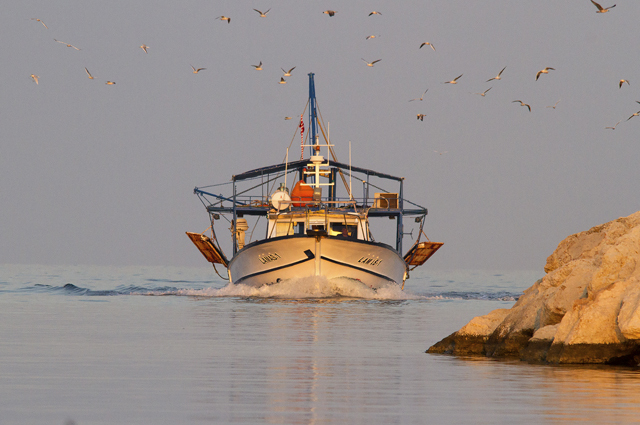 Basic physical properties of the R/V Lamas are “wooden hull, built in 1981; 28 Gross tons, 7.65 Net tons; 12 knots max speed; length: 16 m; crew: 3; scientists: 4”.